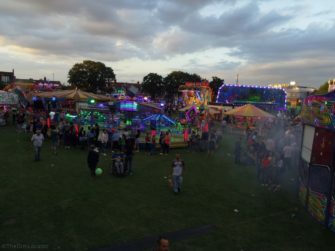 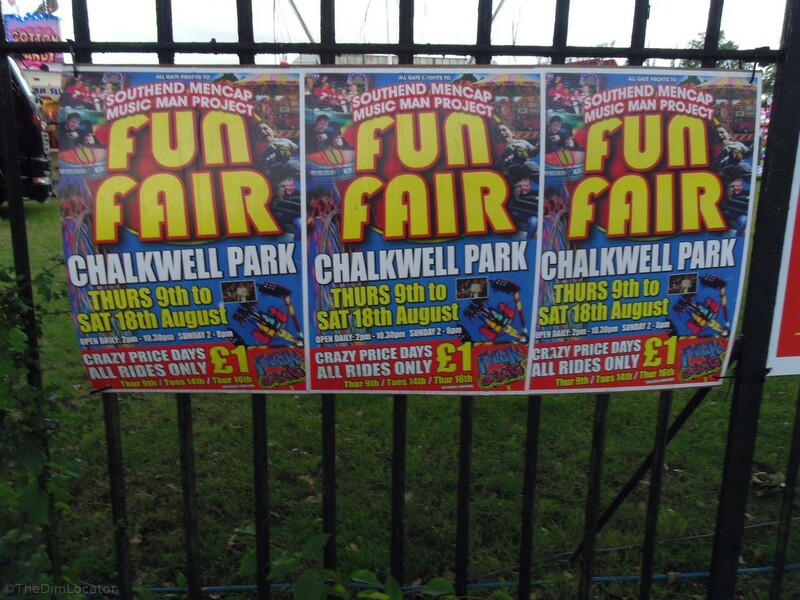 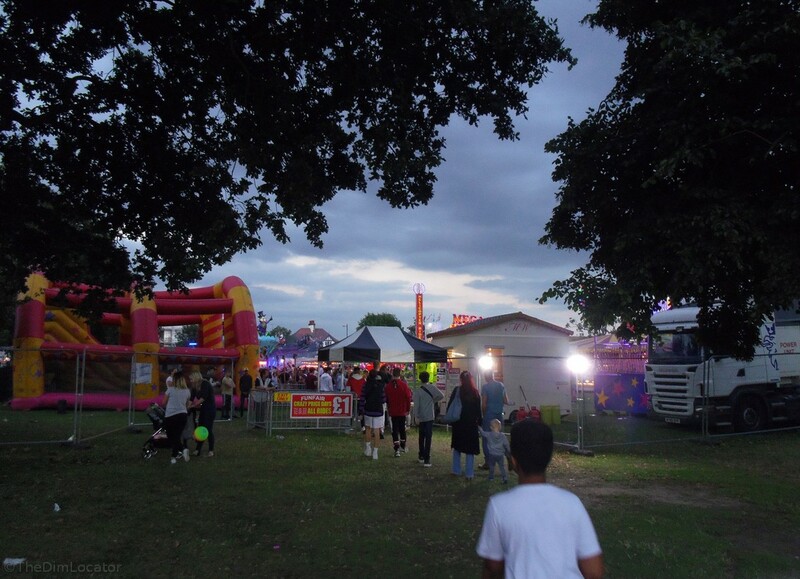 For many years Southend Carnival also had a carnival fair in Chalkwell Park, profits going to charity until, about 3 years ago they decided there wasn’t actually enough in the way of profit and it was cancelled and didn’t happen that year. 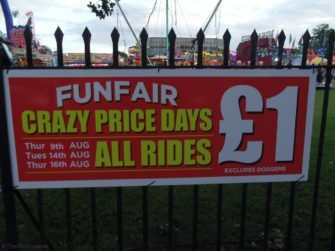 But, someone else stepped in the next year and it has continued, I assume the charity takes the gate money gross and the fair has whatever it turns over. 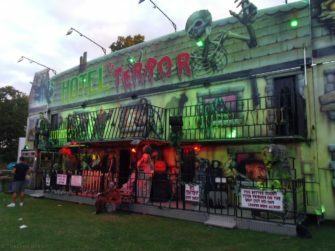 This recording is from a haunted house, there were two, I did go through the other one, didn’t think I’d be able to make a reasonable recording but the group in front were fairly vocal and you might get away with hand holding the recorder so thought it might be worth trying, and this is from my second bout of terror. You have to wait for a likely looking group to go in and follow them around and, it’s their comments you hear and I think we catch up the group before. The pneumatic noise you hear is to make bodies look like they’re convulsing, both of the houses had these. 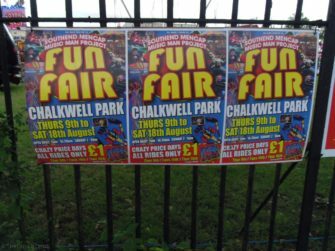 You know what you’re going to get at a fair, whether it’s Chalkwell or I’ve heard they have one in Maldon, had Carter’s Steam Fair a few years ago, there must be ones in Chelmsford, Colchester, West Ham, Ilford, anywhere in Essex with a flat area and people wanting a bit of a thrill. Roll up, roll up.